Brink! LEGO Pirates! SBK 2011! Long-awaited shooter Brink sits nervously in the dug out. Finger on chunky gun trigger, hand wiping sweat off oversized brow. It headlines this week's new recruits. 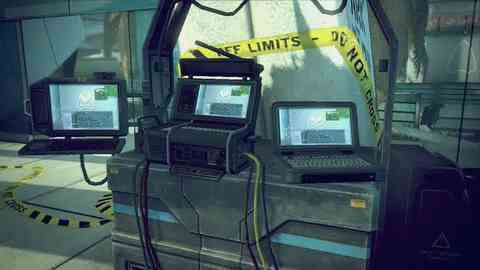 Developer Splash Damage has laughed in the face of its more monochrome military-based rivals. Gritty Homefront sold one million in a week. Will Brink's colourful cast of caricatured commandos catch on? Oceans away in the mainstream, LEGO Pirates of the Caribbean lies anchored. 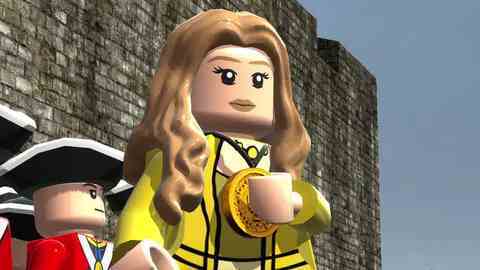 Proof of the LEGO series' popularity is Disney's decision to make LEGO Pirates of the Caribbean the official release accompanying fourth film On Stranger Tides. Will Johnny Depp's wonky-walking Captain Jack Sparrow prove just as popular in plastic form? Sports fans can choose between off-road racer MX vs. ATV Alive and SBK 2011's superbike circuits. There's also twin-stick shooter Gatling Gears on XBLA and Zumba Fitness wannabe Exerbeat, as if the chart needs another. What is it? An accomplished-looking shooter with a striking art style, hoping to wrestle control of the brown and grey-dominated genre. You crowned it Game of the Show at the Eurogamer Expo last year. What does Eurogamer think? Eurogamer has painted its impressions – we will publish them at an alarm clock-bustingly early 5am tomorrow. What is it? LEGO-starring video game of the theme park ride turned film franchise. It encompasses all the movies to date, including the new one without pouty Keira and skateboarding elf Orlando Bloom. Expect the usual puzzle-based adventuring with over 60 Pirates characters and chests full of secrets to unlock. What does Eurogamer think? No need to brick it - Eurogamer's review gets a champagne launch tomorrow at 11.30am. Each week one of the team steps up to predict the UK all-formats chart. The following predicts the outcome for the week beginning Friday 13th May (to be reported on Monday 16th May). "Parkour shooter Brink launches this week supported by a meaty telly advertising campaign, but I can't see it dislodging NetherRealm's excellent gory fighter Mortal Kombat, Valve's superb first-person puzzler Portal 2 and, gulp, Zumba Fitness, in the top three. LEGO Pirates of the Caribbean, however, has a chance. Not only is it available for pretty much every platform going, but it's tied to the biggest movie of 2011. More importantly, it's proper good, from a developer that creates the best family-friendly game series of this generation." Eurogamer's Senior Staff Writer Robert Purchese attempted to predict the future last week. We've put together a fancy table to show how well he performed. Call of Duty: Black Ops NO! Operation Flashpoint: Red River FAIL!